There’s Something For Everyone at First Landing! 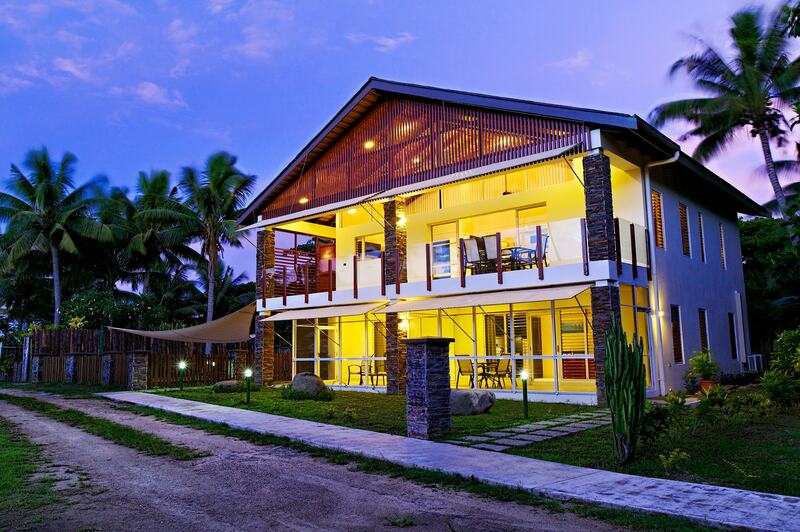 First Landing Fiji offers amazing accommodation options there’s something suit every need and every budget. 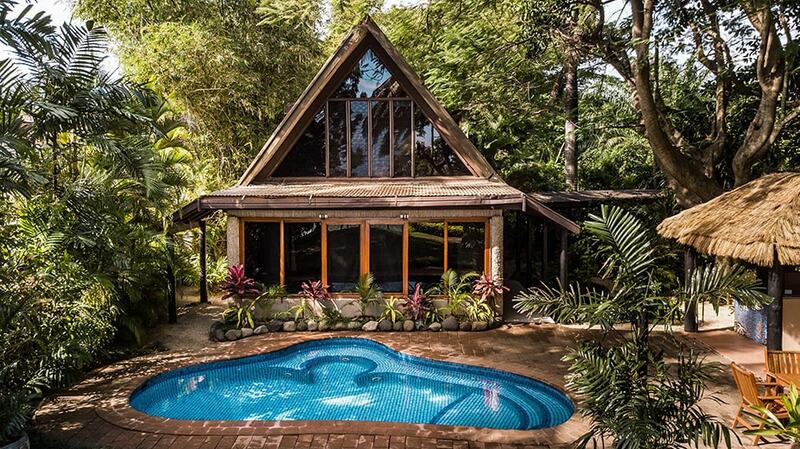 Luxury 1 bedroom Garden Villa with indoor/outdoor shower, bathroom with bath, fully equipped kitchenette, living area, TV, washing machine/dryer and a private pool in an enclosed tropical garden – perfect for Romantic couples, 2 couples sharing or families with 1 – 2 children. Sleeps up to 4 guests. 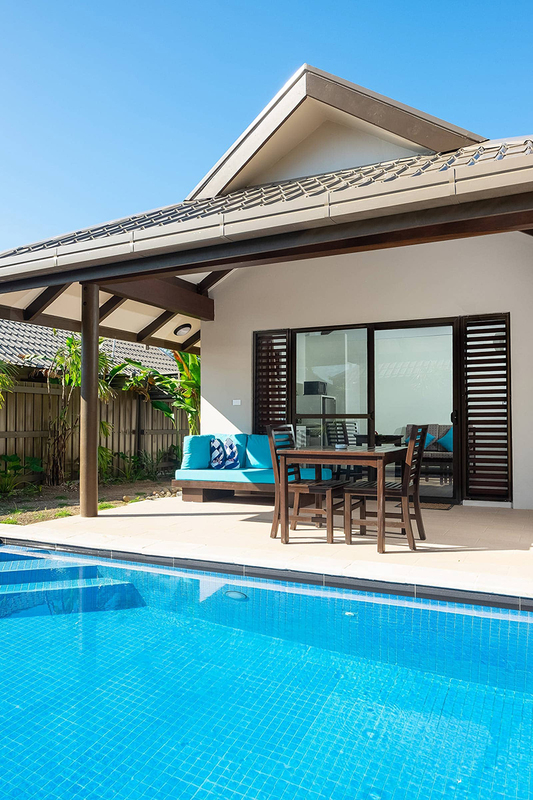 Luxury Villas with 2 bedrooms, 2 ensuite, full sized fully equipped kitchen with a full size private pool in an enclosed tropical garden – perfect for Romantic couples, 2 couples sharing or families and small groups. 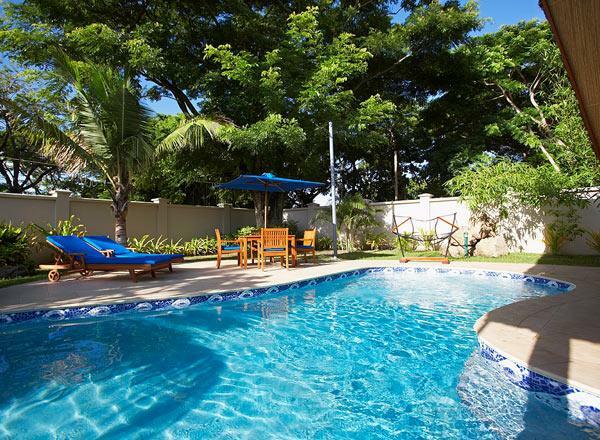 Absolutely luxurious 3 bedroom Garden Villa with 3 bathrooms with the master bedroom enjoying an outdoor shower room, fully equipped kitchen , living area, TV, washing machine/dryer and a private pool in an enclosed tropical garden – perfect for Romantic couples, 2 couples sharing or families with 1 – 2 children. Sleeps up to 4 guests. 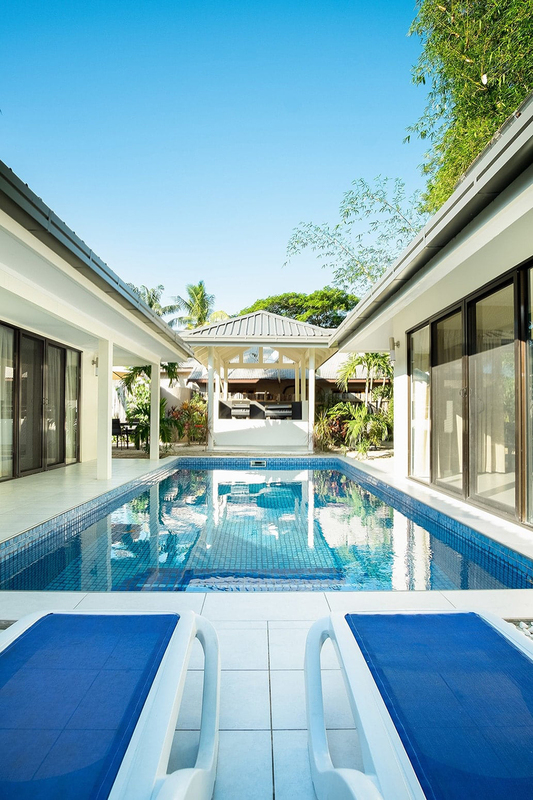 Picture yourself in a luxury, absolute Beachfront villa with your own private pool. 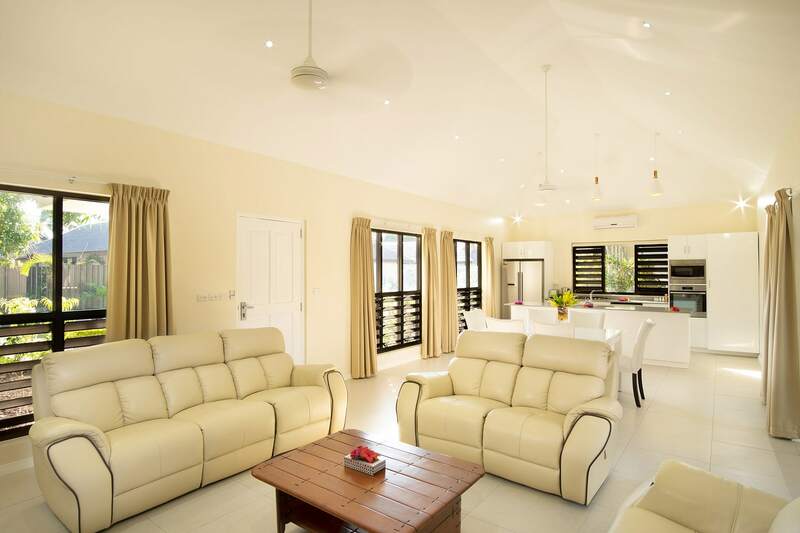 With spectacular views over the nearby Mamanuca Islands, these villas have 2 bedrooms, 2 bathrooms indoor/outdoor, fully equipped kitchenette, living area, TV, washing machine/dryer – perfect for Romantic couples, 3 couples sharing or families and small groups. Sleeps up to 6 guests. 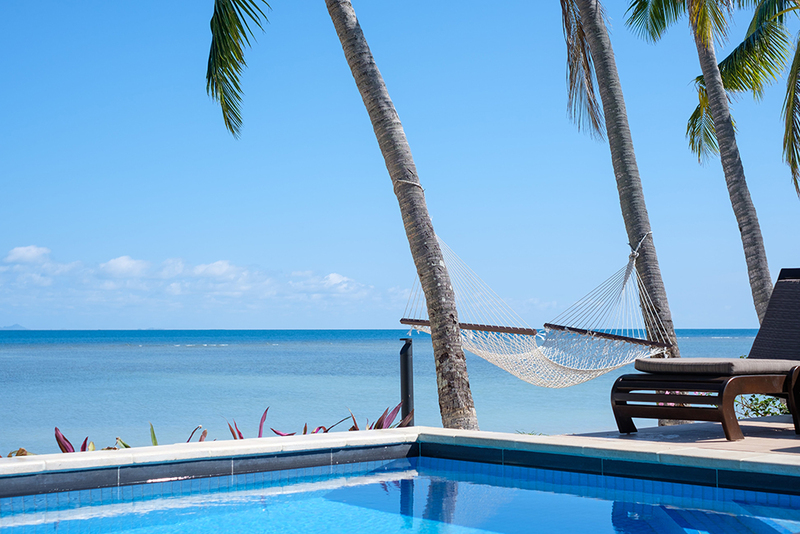 Have you ever dreamed of staying in your own private beachfront villa? Well this is your chance to seize the moment and book a holiday you’ll never forget. Complete privacy, and the sand is only a few footsteps from your front door. 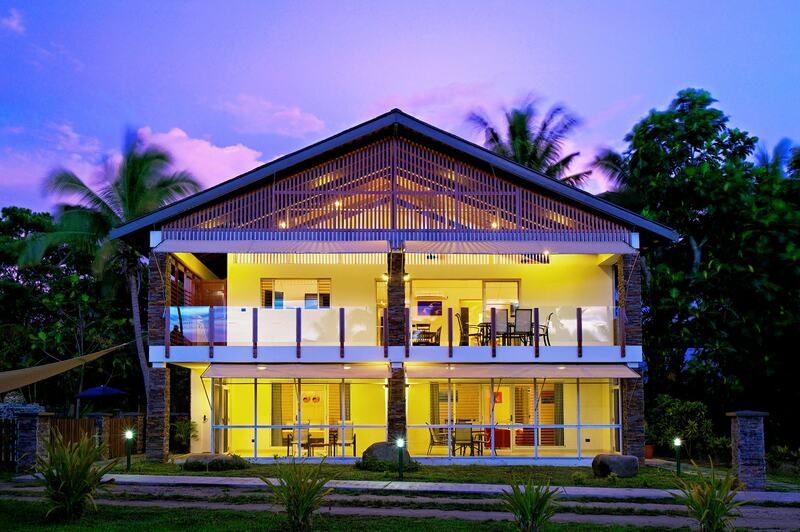 This is a very special piece of Fiji. Prince Charles thought so too when he stayed here! 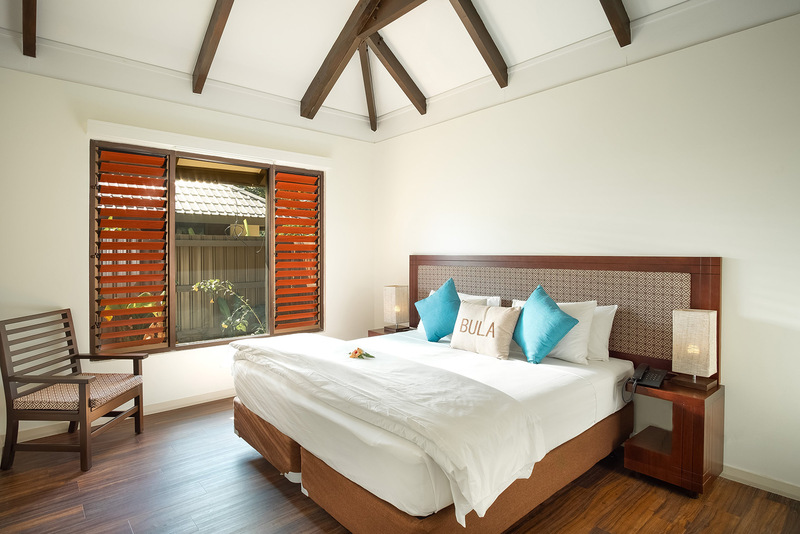 Our luxury beach villa is the ‘Nalamu Grand Villa’ and includes 4 Bedrooms, 4 bathrooms and can sleep up to 12 people. 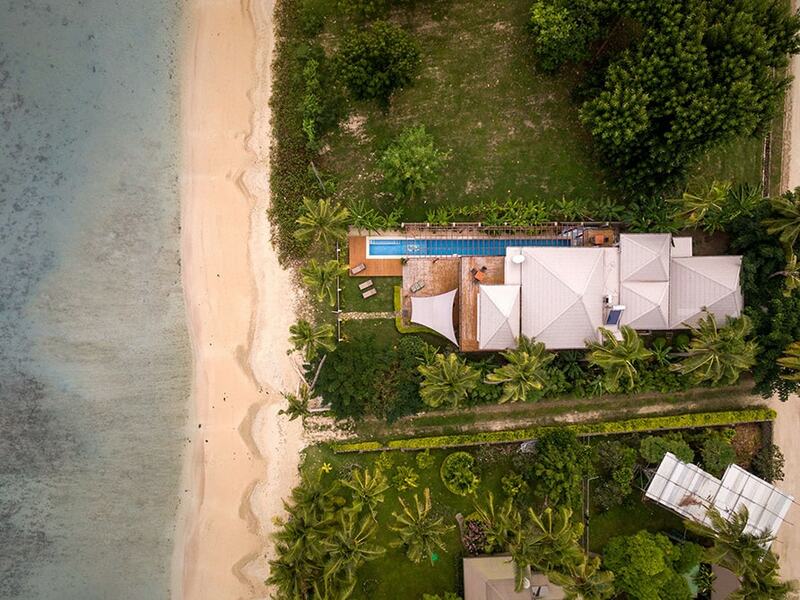 The villa also includes 2 open plan living areas, dining and fully fitted kitchen with 2nd kitchenette upstairs, 25m child-friendly beachfront pool and spectacular panoramic ocean views. 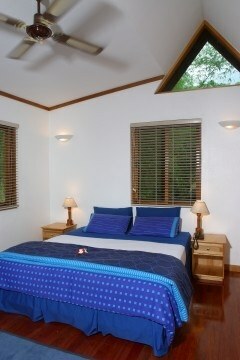 Our 3 bedroom apartment has 3 separate bathrooms, a spacious lounge and a full sized kitchen. Ideal for families or couples traveling together. A large west facing veranda for enjoying beautiful ocean views and breezes. Semi private pool. The apartment has a lounge and a galley kitchen with a separate lounge room and spacious bathroom with bath tub and shower. Great for small families or couples on a long stay. Semi private pool. This spacious studio apartment is great value for money. 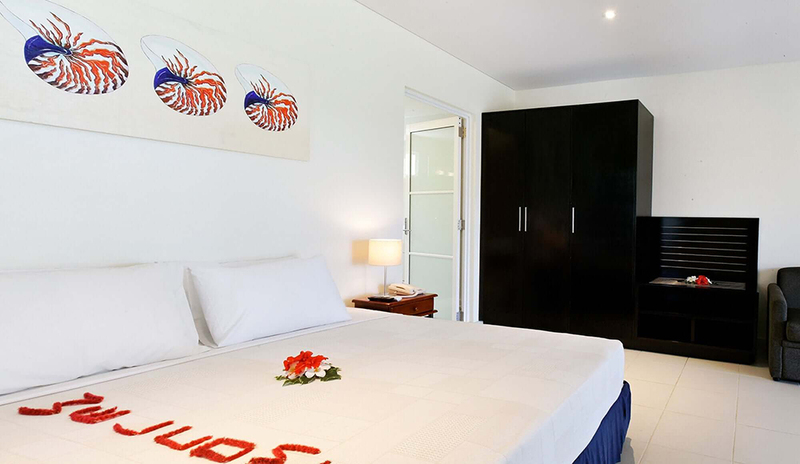 With a full sized bathroom with bathtub and shower, TV, microwave and tea/coffee making facilities, guests can also share the semi- private pool.